The blank floorplates and cubicle farms are by-products of yesteryear, giving way to fresh thinking that incorporates architecture, interiors, technology and urban context, each working seamlessly to create the modern office of the future. Our perspective at Rothelowman is to provide thoughtful insight into client-focused workplace solutions. We know that the meaning of the time we spend at work is changing. We understand that we are spending less time in the office, and that the desire to connect purposefully is stronger than ever before. So we create solutions that enable our clients to position their building ahead of the rest, which often requires complex handling with the end goal of a positive return on investment along with premier facilities to attract tenants – which benefit everyone. Currently, a wellbeing-based, human-centred approach to workplace design is changing the commercial modern office. The game changer is the recently launched WELL building standard, from the International WELL Building Institute(IWBI). The standard ‘takes a holistic approach to health in the built environment addressing behaviour, operations and design’, enabling green building practitioners to measure building attributes such as air, water, light, comfort and mind. In the process create healthier working environments for employees – plus increased productivity. Practitioners can now measure lighting designed to mirror the body’s natural circadian rhythms, as well as high quality air filtering to create a healthier and safer indoor environment. 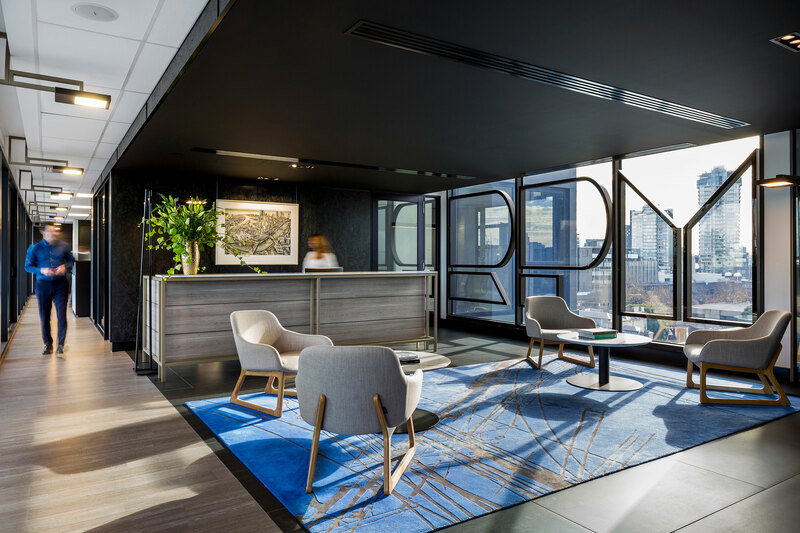 Smart businesses already understand the restorative benefits of a healthy workplace, and in Australia premium tenants including Mirvac, Macquarie Bank (the first to register with the WELL building standard), DEXUS and Lendlease have subscribed to the program. More recently, the IWBI announced a partnership with the Green Building Council of Australia, and we will continue to watch future developments in this space with interest. Buildings that apply biophilic design – understanding how nature can influence us – can also boost productivity. A global study by Human Spaces reports nature can boost productivity by as much as 6 per cent, and also reports that employees in an environment with natural components have 15 per cent higher wellbeing, and are 15 per cent more creative. 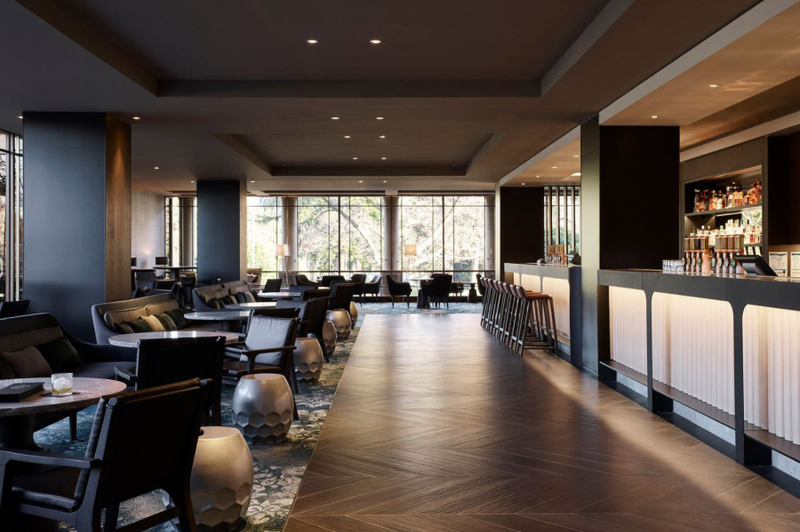 Currently, the highest profile supporter is Google, whose new flagship headquarters in Silicon Valley (yet to be completed) displays a strong affiliation for biophilic design. According to research by the University of California, office design can also ‘promote an overall sense of belonging or place attachment’ by creating a sensory experience. This thinking was applied to our project, located in South Melbourne, through the creation of community collaboration zones that frame key views of the city. Departing from architecture as grand statement design, this building is conceived rather as a collection of smaller buildings, with each unique atria oriented towards a moment that characterises the space, such as a key view. The delight and restorative feel-good factor that results underlines a sense of place and ownership, as well as enables employees to ‘control’ their space, similar to the design sensibility around boutique co-working. This design thinking is only made possible with the evolution of digital technology. 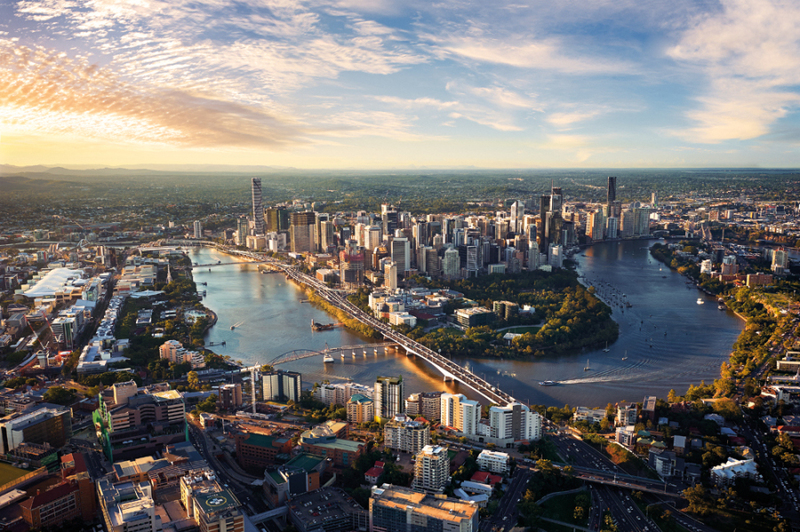 An example is in Brisbane, having worked with Floth Sustainable Building Consultants (who are at the forefront of green commercial building design) on a 6 star, Green Star Commercial Building. Engineers can use technology to connect into the building’s services, such as cooling towers, chillers and boilers, and provide data on design functionality and potential weaknesses. These can then be reported back to the client with an opportunity to make improvements for optimum efficiency, thus using technology to potentially effect behavioural change. The future of workplace design supports employee wellbeing as well as considers impacts on the broader urban fabric. Successful examples require complex decision-making for an optimum outcome, creating long-term value for everyone involved. Our new project in South Melbourne provides space for groups and individuals to choose their most productive workspace. Floorplates that step back create a building dotted with small atria, each specifically designed to attract different modes of work for both individuals and groups, sparking new connections and breaking down the barriers of the traditional office. We achieved an excellent result that incorporated good sustainability, including platforms of lush greenery, landscaped terraces and break out areas and amenities. As designers, we must shift and shape creativity and innovation to better allow for both collaboration and withdrawal, communication and problem solving. As members of the global community, we’re in the fortunate position to fundamentally shape our future for the better.